I mentioned in my last video that I use jojoba oil to moisturize my dry, wintery skin. Jojoba is great and it has many benefits for all types of acne prone skin – dry, oily, or combination. What is this stuff? And why would I want to put oil on my already oily skin, you say? Watch the video to find out! How to Choose the Right Jojoba Oil for Your Acne Prone Skin How to Choose and Blend the Right Oils for Your Acne Prone Skin The Best Oils for Moisturizing Acne Prone Skin My New Skin Care Routine is Off the Hook! I’ve used jojoba oil in the past. Another good one is grapeseed oil. It’s super light, makes my skin feel really smooth, gives the skin a glow like no conventional moisturiser, and hydrates the skin just enough in winter without feeling heavy and greasy! Oh, and this morning I just made my first green smoothie. It was delicious! Yah! Way to go… green smoothies are so yummy hey? That’s interesting about the grapeseed oil, did you like it even more than jojoba? Obviously it’s down to personal choice and what feels good to you. The grapeseed I think feels even lighter. Apparently it is mildly astringent and so it helps tone the skin and has antioxidants in it for fighting free radical damage. However in terms of the research I’ve done it seems that jojoba oil is a serious multitasker for acne ie its highly antibacterial, and breaks down clogged pores. It’s always interesting to try something else and I must admit reading over the evidence again I’m tempted to try the jojoba again! In terms of what I think about what I actually notice personally the grapeseed is super light and my skin feels really smooth when I use it. The jojoba is a bit more nourishing and for acne prone skin it really fits the bill. All in all sometimes it’s good to branch out and try some new things, there are some wonderful oils out there that all have very different benefits. Oils are fab and more people should try them, I think they would be converted! I used the Jojoba oil and Wow.. it really helped with the flakiness already. Though, I’m concerned! I’ve gotten a pretty big surge in whiteheads, blackheads, and oil.. Is this just a purging stage? It’s nothing too serious, and I know you mentioned this in the video, but it’s pretty scary alongside all of the other inflamed acne I already had..
Tracy, I’m loving your posts, especially the one about your life! I was wondering if you were going to cover the actual healing process in later posts. 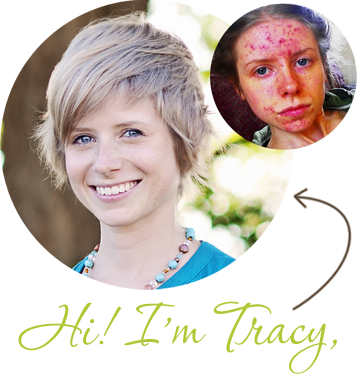 What you felt was the turning point with your acne, where you looked in the mirror and thought, “I’m actually beating this.” ? Was it your diet after you found your food sensitivities? Or was it your emotional growth? I was wondering which came first, your acne getting better, or your emotional growth on the whole matter? I feel at times like my acne will never go away, or even get better until I can better control my emotions concerning it. But it’s such a struggle! -I know it can be scary… if you don’t like it, then don’t use it. Alternatively, make sure you only use a very, very small amount if you’re worried. I wash my hands, then stick my finger in the bottle, so I just get a tiny bit, and then rub it onto only the flakey areas, instead of all over the place. Personally, I’d rather not use a moisturizer at all anyway, so this my compromise! – The emotional stuff was a journey along the whole thing. I actually got quite clear through diet and exercise and sunshine first, and had to go right to the absolute end of the diet road and still not be totally clear for me to realize how much I needed to work on the emotional stuff and that I may be mostly clear, but I’m not free of the acne vice grip. Then again, I went nuts on my diet, and I feel like if I had really worked on the emotions more earlier, I would have gotten clear faster and easier. So yeah! Don’t feel like that! Your mind is so powerful… you have to believe that you can get clear, or you will give up much too quick. Oh, I see! It makes perfect sense. I have a hard time with a healthy diet, but I think everyone does. It’s pretty obvious that sugars can aggravate acne in anyone, along with other common culprits for food sensitivity – but I’ve wondered, if food has an effect on everyone’s acne, I wonder why my face was the most clear when I was drinking six Mt. Dews a day and stopping at McDonald’s every other day. Two things were different then to now though – I was working out all the time, and I was heavily into dance (talk about an outlet). The second thing was that I wasn’t stressed out or sad. I’m tempted to conclude that when I’m absent of stress and getting a lot of exercise, I don’t have much acne. I don’t feel diet has much to do with it for me. Would you assume the same? Oh, and about the Jojoba oil – the stuff that popped up literally went away over night, so it was definitely a good thing! It’s a great thing to use if used correctly I think. It pulled some things out of my skin, like you said it would. Thanks for answering all of my annoying questions (I feel like such a pest! ), I’m just at the crossroads of this healing process, and I really look up to what you’ve done for your health! You’re going to be a great guide if you do become a nutritionalist. Take care! Hey, no worries about the questions! For you, I think the emotional stuff is probably the thing you should focus on the most, but everything together will work so much better. I know what you mean though… there have been times in the past when I was eating way more unhealthy than when I was when I had my severe breakout and my skin was okay. I think a healthy diet will always help though, because a healthy diet has great benefits for your brain, which will help you deal with the stress. Have you ever heard of Bio-Oil, Tracy? I’ve been using it for a while now and the overall texture of my skin has improved a lot. I also have a large raised scar on my body from a surgery I had and it lightened, softened and smoothed it a lot. I love all oils. I haven’t ever had a breakout I could attribute to ANY oil including Jojoba, Tea Tree, Olive, Sunflower, or Bio-Oil. Even Mineral Oil which supposedly breaks some people out, doesn’t seem to break me out since it’s also in Bio-Oil. No I hadn’t heard about it, but I looked it up when you mentioned it! Again some people said miracles, others not so much. I guess it’s hit and miss with oils! [..YouTube..] Do you just apply Jojoba Oil by itself or do you mix it with your current moisturiser? Just by itself… I don’t really like moisturiser! Ha, I thought you’d say that. When you apply it, should you use just your fingertips or should you use something like a cotton ball? And how much would you recommend applying, because i’ve heard a little goes a long way with this stuff! Thankyou. I have just read your delicious-sounding recipes and am going to try some tonight. Just had one of your smoothies for breakfast and although skeptical at first, I found it to be scrumptious! It will be a regular in my diet. Looking forward to reading more tips and tricks from you. so, I just bought some. Since I live up north, it’s rather cold and my face gets dry in the winter.. would it be bad to apply to my whole face? There are areas that are flakier than others but even my cheeks feel dry! Recently i started using Oshadi Cleansing Oil, it contains jojoba oil, but i find It’s smell too strong (due to some other ingredient). You are super beautiful girl!!! Hi Nena! I checked out your blog and your skin looks wonderful! It improved a lot! I don’t know if using jojoba in the summer time will break you out or not. Since your skin is oilier in the summer, the jojoba might help to absorb some of that. I don’t know though, my skin is dry, so I prefer to use nothing in the summer when my skin is more hydrated. You’ll just have to see whether it agrees with your summer skin or not! Anyway, thanks for the support, Nena! I live in Tokyo right now, do you know where I could find jojoba oil ans/or castor oils, I can’t seem to find it, thanks! Hello. I started to use castor oil yesterday. I’m usinq it by itself, I heard that it is good to use with JoJoba oil. What do uu think? I have heard Castor oil helps clear acne and scars so soes apple cider virgin oil. Castor oil also cause hair growth. I am using it for my skin and to help grow out my lashes more. 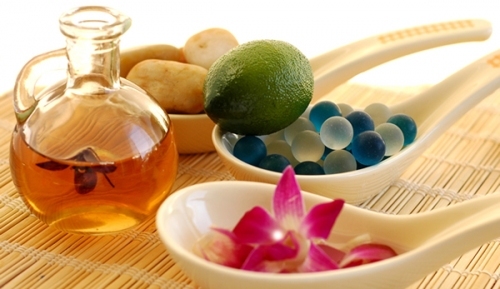 What do you think about mixing Castor oil and Jojoba oil together. I think it’s a good mix. Castor oil is supposed to be great for getting out dirt and jojoba oil is great at opening up the pores and drawing the castor into it. I think it’s better than just using castor on its own. Hi, i just started using jojoba oil like right now lol. i just got it mailed to me todayy. well i was wondering i have veeeeery oily skin like, its embarrassing :/ & i really only breakout on the center of my face -_- & i get redness in the middle of my cheeks like right under my eyes & in the middle of my chin & my forehead breaks out a lot… my sides of my face are like perfect… & i’ve seen people saying i need to put a vitamin E moisturizer on my face before or together with the jojoba oil… but i didn’t know if i had to but i did anyway, i put cocoa butter vitamin moisturizer on it than after i rubbed it in i put the jojoba oil on it. & i’m very scared lol cuz my face is already supppper oily & i’m putting more oil on it i’m just a little paranoid ha. Oh, & i was wondering am i allowed to put on makeup after i use jojoba oil… like cover up?? I have medium South Asian skin- neither fair nor dark. I have oily acne prone skin that tends to break out when ever I make a change to my skin care regime. Nothing of the sort happened when I used the Vitamin Enhanced Face Firming Serum from Made from Earth. It goes on easy, disappears instantaneously. I didnt see any dramatic results but after about 2 months of regular usage, twice a day after cleansing, I noticed my skin tone is more even than it was before. I used to get sun spots on my skin,that doesnt happen that frequently now. I had started to get pigmentaion spots on my arms, I dont see the pigmentation progressing like it was. It works but you need to give it time and be regular and patient in usage. Its no magic potion, but sure does what it claims to do. It has a pleasant citrusy smell and is soft and non greasy. I had my first green smoothie today and it was AMAZING! Im so glad I found your You Tube page yesterday. Im already a big fan of your videos and articles. I have oily combination skin that only recently ( 2wks ago Id say ) seriously started breaking out. I have at the very least 13 huge pimples right now, a couple of them are under the skin. After watching a couple of videos on you tube, Ive heard that mixing jojoba oil and tea tree oil really helps with acne and oily skin and Im all for trying it ( Im even going to the store to pick some up after work today ) But does this mean I have to stop using my face wash, astringent and moisturizer ? I would advise you stop using your face wash, astringent and moisturizer, yes. You don’t need all this stuff, and it’s probably irritating your skin! What you can do with jojoba oil is put some in a little mason jar or something, and mix a ratio of like… 1 drop tea tree oil with 20 drops jojoba oil… approximately. Then you can just wet your face, stick your finger in it, massage a bit of it into your face, and then rinse it off. Some will be left and it will perfectly moisturize your skin…. there you go! One step! Is there any specific brand you use? Can I buy it from Amazon? I haven’t actually tried that one… but you want one that specifically says its organic and unrefined or cold pressed (others say “pure” but I don’t know how legit that is). Also, that is a lot of jojoba oil and will last you a looong time. (jojoba is actually a wax not an oil, so it doesn’t go ‘off’ like other oils and essentially stays good forever). Thank you so much! 🙂 You are one helpful lady! i know that the oil cleansing method can work for me but idk what went wrong to cause such Horrible break outs! Yeah some people don’t do well on the OCM…. I don’t actually do the OCM, I just use jojoba like a moisturizer… I don’t do all the steaming. I think that can be irritating for some people’s skin (other people’s skin loves the steaming). I wanted to know if i can mix jojoba oil and grapeseed oil for a moisturizer for me acne prone oily skin? But obviously just a little amount. My skin is really oily..i have acne scars here and there. And whatt is the most annoying thing is thhat i have got alot of blocked pores..and many white heads. It is getting me really down – hellll-lllllp somebody pleeeeease??? 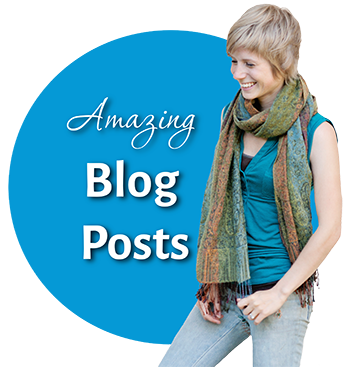 I have just come across you blog and LOVE it!!! Currently using BP, vit c serum and a vit A cream. Started getting lines and I think it’s the BP – but the lady who I’m having regular facials with says it’s the only way to control it. My skin has been better but still getting regular breakouts around my period. Just don’t know what to do anymore… Any advice would be greatly received! Well first things first – try improving your diet, and also switch to gentle, natural skin care 🙂 Lots of articles and resources on the blog to help you. Thanks for the info. Recently I had a horrible experience with OCM. Used high quality raw organic EVOO, castor oil and tried it for two months. Now I’m trying to reverse the damage done – horrible cystic acne along my jaw line. It’s slowly getting better with RACV, raw honey and essential oils. Do you recommend using jojoba as described above as your cleansing method? Or just moisturizer? I’m trying to find something for my combination skin. Any help is greatly appreciated! I’m Amran from Singapore, I need your help and advice, I’ve been listening to u and fran (high on health) on going the natural way, I believe it will work. Here’s some history abt my battle with acne, I started getting acne at age 18 now I’m coming 23 I’ve tried almost everything (over the counter, going to see a derm and all that stuff)for the past month I stopped using everything, the last product was differin gel prescribe by a derm which got me 80% cleared but still had cystic acne every week. I’m eating healthy no doubt. But currently my face is breaking out with whiteheads and some cystic acne (abt 5 of em and coming out new ones everyday) I’m really depress cause I’ve been fighting and fighting yet its still winning, I’m not gonna give up that easy, I have super oily skin, my current routine is cleanse with jojoba oil that I mixed with lavender oil, morning and night only. Its been almost 2 weeks now, I know its still to early to tell, but the amount of whiteheads I get is just beating me down. I need any help or advice I can get, and some confidence boost. Thank you, hope to hear from u soon. Thanks for your reply Tracy, i really hope its a purging period, I will update once I finish the 3rd week, for the cysts I really nvr pay much attention to cause usually after 3 days it just got smaller. But these whiteheads are all over my acne prone areas I’ve nvr got them before. I’m just gonna hang on and hope for the best now, so far I notice that my nose and chin is super smooth and not that oily. Also my face will last longer before it becomes super oily whereas before it was oily 20mins after shower, could it be that jojoba oil is working to balance things? Should I start manuka honey now or wait for a few more weeks? Thanks Tracy ure very kind and i respect u a lot for winning against acne. Hey, Tracy! I love your site!! I’ve been using jojoba oil on my face for probably six months now, & I LOVE it. My whole life I always believed oil on the face is bad & never thought I would use it on my face for anything, especially cleansing. But it has been working great for me, although I still notice if I get any other oil like coconut oil on my face, I break out. I add a little orange essential oil & it really seems to work for me & helps with the scars as well. Thanks for all your great info! I am mesmerized by your skin! I want skin just like that. So I used to have combination skin up until my dermatologist put me on Retin A for T zone, which has really messed my skin up in the long run. I quit Retin A about 2 years ago because it stopped working on my skin. I started to break out really badly on the right side of the chin. I figured it was hormonal and gave up dairy and quit Retin A as it was doing nothkng but drying out my chin. The damage is done because my chin is excessively dry. I was using this heavy moisturizer cream prescribed by my derm, which was initially working, but eventually emded up cloggin my pores! So the problem is that Im always getting whiteheads on my skin. I tried zinc supplements and I noticed that it dries out my skin even more. Couple months back I jumped on the bandwagon of going natural. I fixed my diet. I drink two teaspoon of Cod Liver oil and calcium/magnesium/zinc (all in one) supplement at night before bed. I’ve tried numerous oils (Hemp, Sweet Almond, Grapeseed, Rosehip, evening primrose) in that order. None of them helped the dryness except for Avocado, which I find to be quite heavy in the summer. So Im backi trying my jojoba oil. My problem with jojoba the first time around was that it wasn’t doing anything for my dryness. If anything, it was making me more dry.This is my regiment ( I wash face in the morning and night with Spectro Jel, which is a very mild cleanser. Then I use a drop or 2 of jojoba oil and rub it into my face face. Finally I was once more with water and let my face air dry). Why is my chin a mess? Hi! I just got jojoba oil from the store and I can’t tell whether it’s good quality or not. It’s says 100% pure simmondsia chinensis (jojoba) seed oil but that’s it. What do you think? It’s from a mostly organic supermarket. Hi Rebecca, if that’s all it says, it doesn’t really sound up to snuff! I used jojoba straight on my face without washing it very much except for water maybe once a week, and it did nothing for it except clog my pores and give me acne. I don’t know if it was the brand or if it simply does not work for my skin type. I now put straight olive oil on my face and wash it off with johnsons baby shampoo, and this has made my skin nicer than it’s ever been before. PS: I used it for 8 months before I finally quit. So I doubt it was just that my skin had to get used to it. Oh, and my skin was NOT greasy lol. I wouldn’t be walking around with a glare on my face all day. Haha, sorry, I should have finished watching your video before replying to it with all these comments. i’ve been doing for 1 week now. don’t see any different. white heads on jaw line and neck are still there/perhaps more. I wonder if i’ve done something wrong. i have combination/oil skin with redness on the cheek. any other steps you would suggest? recently I’ve stopped using moistruizer on my face but oils instead. My skin seems to like it so far. But I’ve got one question: How do you protect your skin from the sun since these oils don’t contain SPF?! Hi Rachel – this is what I personally feel: some sun on your face is actually good for it. I don’t think it’s necessary to wear sunscreen all the time in your day to day going ons. If you are outside in direct sunlight for quite a while, then go ahead and use something, or wear a hat that covers your face. Hiya! I just found uou today and im already inlobe! Im just wondering if I should do this, and if I do, should I stop using my cleanser? My cleanser (s) are: pHisophex anti-bacterial wash and Lush’s buche de noel cleanser. I also use Lush’s Dark Angels cleanser/scrub occasionally. I barely wear any face makeup too! Great video and very informative. I might have some info for both you and your followers about why Jojoba oil can sometimes cause breakouts. You touched on it a little about how Jojoba oil is transdermal and because of this it can get very deep into your pores. This of course is a great thing when it comes to getting dirt and what not out! But sometimes people will use jojoba oil and then follow it up by putting on their makeup or other irritating products onto their skin, and since the jojoba is transdermal it is going to take whatever you put on your skin after straight into your pores. This could cause some major problems, because I think we all know by now, makeup is usually a major culprit for acne! When using Jojoba oil on your face, it is important to start with a CLEAN face and only put beneficial products onto your skin after, say Tea tree oil for example! Then your skin gets a double whammy of awesome all natural acne fighters deep into your pores, exactly where you want them. Hope this helps a couple people in understanding why breakouts might occur from Jojoba oil! I really think the Retin-A cream is causing the hyperpigmentation, dryness, redness and flakyness on your skin. It’s kind of “abbrasive” on the long run, causing your skin to get thinner and more susceptible for irritation. Try regular raw honey as a cleanser first: manuka honey is expensive and might cause dryness to very sensitive skin types – active manuka honey is very stong. 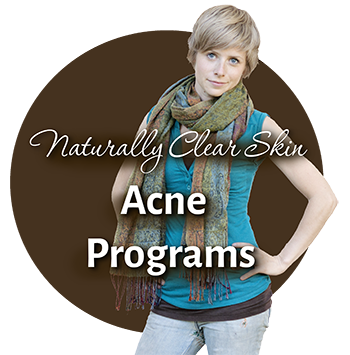 that sounds great 😉 – I’m so glad you could find out what contributes to your acne and also how you can help yourself. That’s the best thing that can happen to you, even though it’s always a long way! Lots of love! Hey, Tracy! I know you’re out traveling around but hopefully you find the time to answer my question- I really appreciate you keeping this website going while you’re out! I’ve been doing tons of research about how skin works and I think I have it pretty much close to figured out, except for one thing. Why and how does sebum “harden”? I understand that too much sebum clogs your pores because it hardens but why does it do this? And why doesn’t jojoba oil harden? I’ve been searching for an answer on the internet but found nothing. I’ve recently read something that is very interesting, which is that sebum contains something called squalene.. squalene is fine but when it oxidizes due to bad food choices / hormones / whatever, it becomes comedogenic, which means it hardens and clogs the pore. I’m actually going to be posting an article that explains this a little more and a possible solution on March 26th, so hold tight and read that! 2-use cotton balls with jojoba oil and put over my face ( around the eyes too, carefully) 3-done!!! Thank you sooooo much tracy!!! ALL OF YOU GOTTA FOLLOW TRACY ADVICE. WILL BE THE END OF ACNE NIGHTMARE. I’M SO HAPPY OF BEING WITH YOU TRACY!!! BLESS, PEACE N LOVE…. Hi Tracy, my name is Chantel and I have really oily skin only recently. I don’t know why I do have UC form of IBS. I am going to try it but I am kind of nervous about trying it. Also I am wondering why Estro Block is only sold online do you know? I started jojoba oil 5 weeks ago. I, 29 and always have had acne prone skin, clogged pores, blackheads, and whiteheads. I started jojoba 5 weeks ago and saw good improvement with some breakouts but lately I am getting more and more blackheads out, I am breaking out along my jawline and neck with some pretty big pimples? However other parts of my face seem to be really improving but its been 5 weeks? Am I still purging and should I stick with it? My oily face is covered with big red and yellowish colored pimples and they are make itching..there are small tiny pores with black heads on my jaw and forehead.i tried a lot of medicines but no use.what should i do?please tell me the good way to remove this irritating pimple. Thanks for all your hard work you are putting in to help find solutions to acne, in a natural, beneficial way! You’ve been an inspiration. I have had mild-severe acne for 15yrs, still don’t think I’m winning the battle though after eliminating all aggravator foods/drinks, doing yoga, meditation and using natural face washes/moisturisers… From your helpful moisturiser suggestions! Plus a I take vitamins/supplements. I’m not sure if its purging at the moment, I started using jojoba oil 3months ago which had great initial results, but I soon developed deep cysts. However, the fried egg oiliness, gone! I now use a mix of jojoba, hempseed, grapeseed and rosehip with tea tree and rosemary essentials. The lumps are going, the scaring is pretty bad but fading, but I still get the odd deep lump, roughly 1 a week!? The blackheads on my nose seem more raised, like they’re slowly coming out? Could this just be years of guck I’ve loaded my skin with finally coming out and I just need to go with the flow?